The weather was hot and the teal were not in the area yet. There were some geese on the pond when we walked up to the blind. The geese ended up flying off from the other end of the pond and no one got a shot at them. The day was pretty slow other than that. 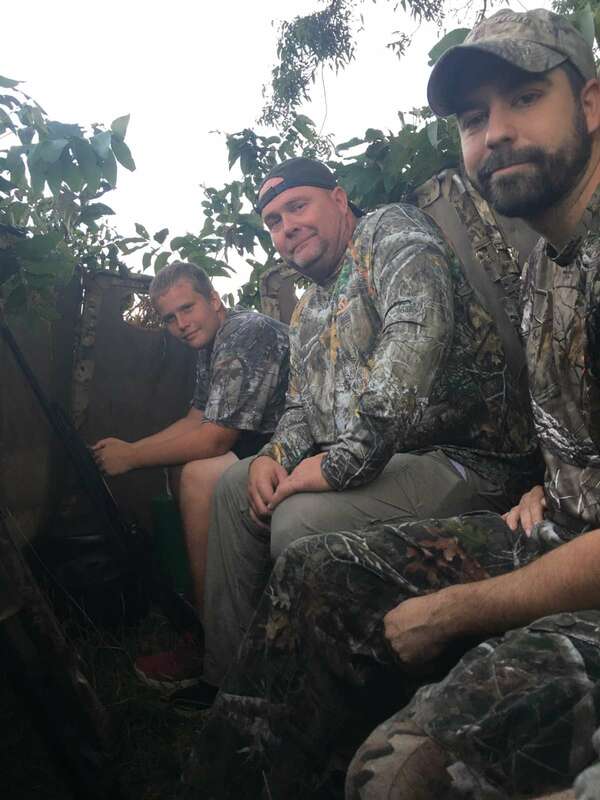 We did have a great time sitting in the blind “shooting the s@#%” while waiting for the birds, but unfortunately, they never came. We have another waterfowl hunt coming up on November 10th. Hopefully we will have a cold snap that pushes the birds down to us to make it a great hunt for Veterans day weekend. We would like to thank Ryan, Cameron, and his dog Lainey for getting everything ready for this event and guiding our participants.